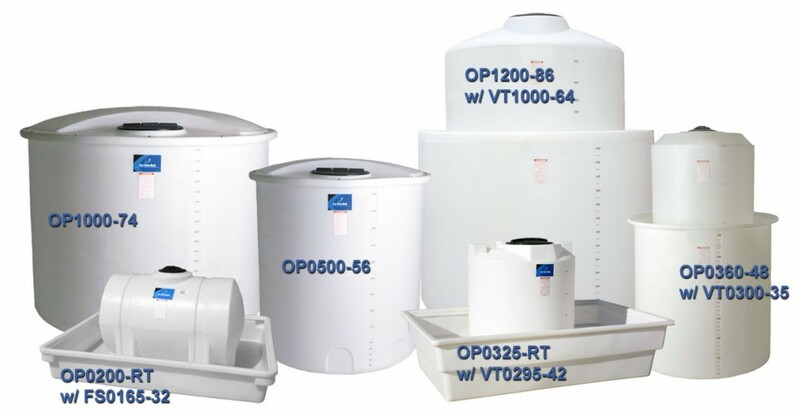 Open Top Tanks are selected for collection systems, temporary liquid storage, or as secondary containment for vertical tanks in indoor or outdoor installations. 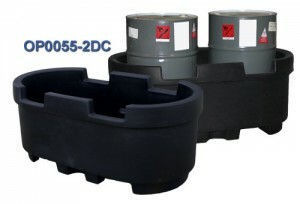 Tanks are manufactured from medium or high-density polyethylene with U.V. inhibitors. Tank walls are translucent for level viewing and equipped with gallon indicators. 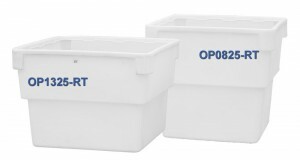 The Open Top Rectangle Tanks (RT) are ONLY for secondary containment purposes. They are not to be utilized for primary storage of liquids.